The holiday season creeps up on us a little faster each year. The leaves start to change color and before you know it, you’re wrapped up in Halloween, Thanksgiving, and Christmas. The holidays are busy enough on their own but lets not forget modern shopping holidays such as Black Friday and Cyber Monday. Not to mention the new phenomenon known as “Sofa Sunday” which takes place in between Black Friday and Cyber Monday. The traditions surrounding these holidays provide countless opportunities for heightened engagement with your online audience. Are you doing everything you can to connect with your followers this holiday season? Read on for a few tips to help boost your social strategy this season! First off, if you haven’t launched your holiday campaign yet, you’re running late. In case you haven’t taken note, it’s almost November. Maybe you’re the kind of person who doesn’t even like to think about Thanksgiving or Christmas until the first of November. That’s totally fine when applied to putting up lights or waiting to crack out the Michael Bublé Christmas album. But applying that kind of mentality to your social campaign would be a huge mistake. Why? Research tells us that in the US alone, 40% of consumers plan to start their Christmas shopping in October and 20% intend to start even earlier. 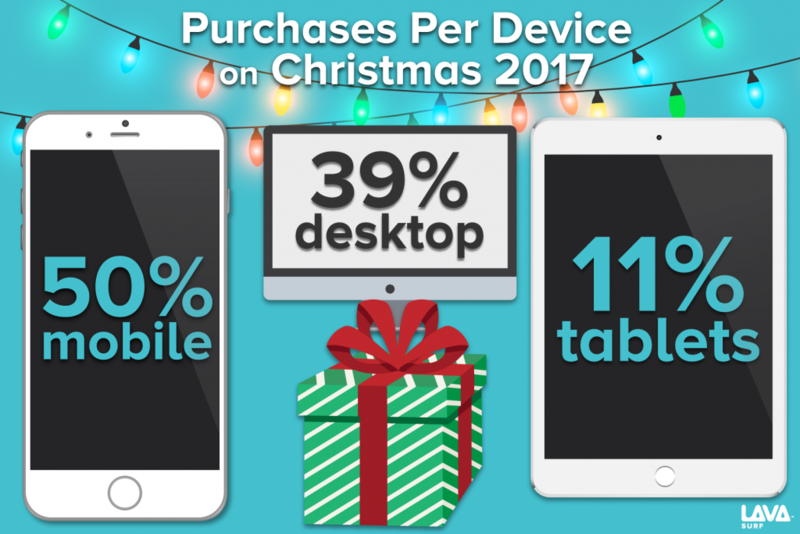 So if you’re hoping to increase sales this holiday season, start now! The second tip you’ll want to implement immediately is catering your campaign to a mobile audience. Did you know that the average American checks their phone every 12 minutes? Your audience is always on their smartphone and as a result, they are always shopping. Maybe it’s just window shopping on Pinterest or browsing a boutique on Instagram, but the pattern is there. Ever heard of sofa Sunday? The day before Cyber Monday, people browse online so they’re prepared to make the most of upcoming sales. In 2017, studies informed us that 45 percent of shoppers spend at least two hours of Sofa Sunday researching Cyber Monday deals. Thirty-six percent of these shoppers plan to do all of that research from their phone. What can we take away from this? Well, marketing involves being where the people are. The people are on social media and more specifically, on their phones. The holidays are the perfect time to give your brand a little more dimension by showing off a fresh side of your organization. You might choose to do this by launching a new campaign centered around a good cause. Or maybe you’ll opt to show off a genuine side through introducing your audience to your team. One way of doing this is taking your followers behind the scenes with your posts and even a few live videos. The holidays are full of fun behind the scenes gems. Here are just a few. These simple posts will go a long way with your audience. It helps people relate to you more and the holidays are all about remembering what connects us. The holidays are a great time to introduce a new hashtag campaign! While some contests involve a series a of complicated rules, I believe that the simpler the campaign, the better. One of my favorite examples of this is Coca Cola’s “#ShareACoke” campaign. The campaign promotes sharing and kindness without being overly complicated. Hashtag campaigns are also helpful in gathering user generated content. You’ll definitely want to utilize UGC this time of year. Social media users trust UGC content so much that it has a 4.5% higher chance of conversion than an average post. One of the most successful UGC related hashtag campaigns was implemented by Starbucks in 2014. Their #RedCupContest resulted in at least one new #RedCupContest image appearing on Instagram every 14 seconds within the first two days. By the time the contest came to a close, there were more than 40,000 entries. That’s A LOT of user generated content to pick from. Again, the holiday season is about highlighting things that connect us and make us human. Consider injecting pathos into your posts to help increase engagement. Posts that evoke emotions within a person are more likely to be shared than those that don’t. So brainstorm ways you can connect with your audience in a more personal way than normal. Ask your followers to share their favorite holiday photos or Christmas songs. In 2014 Barnes and Noble ran a #BNGiftTip campaign to increase one on one interactions with their customers. The campaign encouraged people to ask Barnes & Noble for gift suggestions. 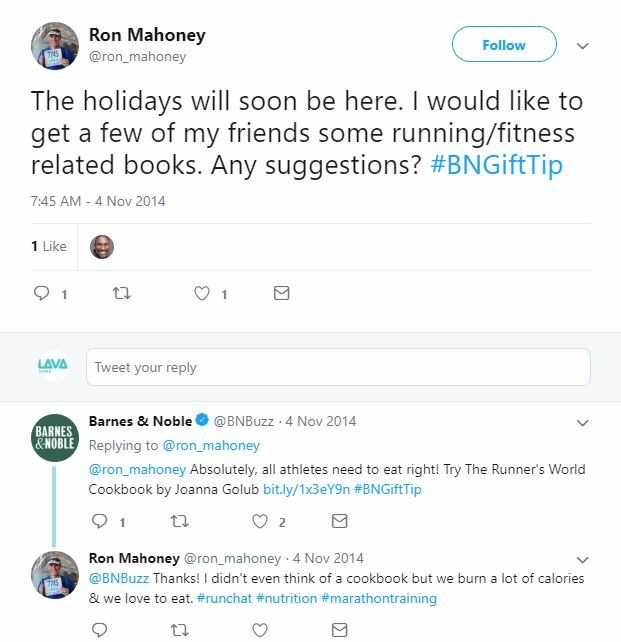 This stimulated more Twitter conversations and gave B&N an opportunity to provide personalized content for their audience. The last holiday social tip you need to remember is to end your campaign late. If the campaign has been going well, why stop on Christmas? Shoppers certainly don’t stop there. The day after Christmas is one of the busiest shopping days of the year and 45% of shoppers continue searching for post-Christmas sales in January! So keep that in mind and ride out the holiday season a little longer. The holiday season is rich with opportunities to connect with your online audience. Don’t hesitate to jump in on the fun when planning your campaigns! This is a great time to grow your following and increase brand awareness! Take advantage of it by building strong connections with your audience!